Following the lead of author Rob Stokes, all the author royalties from Glove Story will be donated to Willow, the only UK charity supporting seriously ill 16 to 40 years old through Special Days. 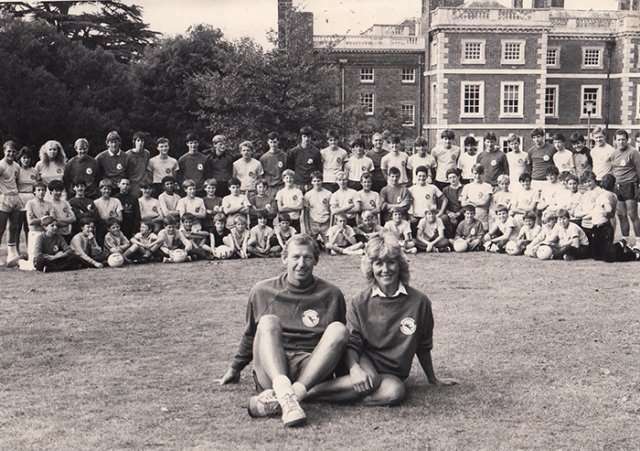 Willow’s Co-Founders and Life Presidents, Bob and Megs Wilson, at a goalkeeping summer school back in the day – as featured in Glove Story. This donation represents the collective effort of a whole team of writers, photographers, illustrators, other individuals and businesses involved in the production of the book. Likewise, the book’s illustrator Doug Nash is going to donate a proportion of his Glove Story/Art of Goalkeeping poster sales to the charity. The plan is not simply to make a modest donation of royalties to Willow, but instead to convert the figure into copies of the book. 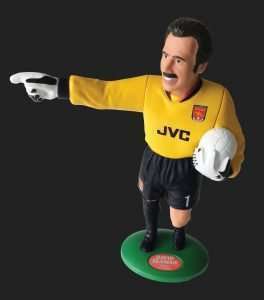 Bob and Megs Wilson and their team can then get the books and posters signed by their extensive contact list of top goalkeepers – which will hopefully turn them into attractive items for the charity’s auction events. Here you can find out more about the work of Willow. Please do get in touch if you have any queries about our products. Copyright 2019 - Conker Editions Ltd. Website by onesixone.